^ 2.0 2.1 2.2 The Results of Address Based Population Registration System, 2014. 土耳其统计局. 2014-12-31 [2015-01-29]. ^ Population and Demographic Structure. Istanbul 2010: European Capital of Culture. Istanbul Metropolitan Municipality. 2008 [2012-03-27]. ^ Hedrick-Wong, Yuwa. MasterCard Global Destination Cities Index (PDF). MasterCard. 2012 [2013-05-05]. ^ The World According to GaWC 2010. Globalization and World Cities (GaWC) Study Group and Network. Loughborough University. [2012-05-08]. ^ Berube, Alan. Global Growth on the Orient Express. Brookings Institution blog “The Avenue”. 2010-12-01 [2013-04-14]. ^ OECD Territorial Reviews: Istanbul, Turkey (PDF). Policy Briefs. The Organisation for Economic Co-operation and Development. March 2008 [2012-08-20]. （原始内容 (PDF)存档于2012-12-07）. ^ IOC selects three cities as Candidates for the 2020 Olympic Games. The International Olympic Committee. 2012-05-24 [2012-06-18]. ^ Rainsford, Sarah. Istanbul's ancient past unearthed. BBC. 2009-01-10 [2010-04-21]. ^ Dash, Mike. Blue Versus Green: Rocking the Byzantine Empire. Smithsonian Magazine. The Smithsonian Institution. 2012-03-02 [2012-07-30]. ^ Béhar 1999，第38页[需要完整来源]; Bideleux & Jeffries 1998，第71页[需要完整来源]. ^ Tarasov & Milner-Gulland 2004，第121页[需要完整来源]; El-Cheikh 2004，第22页[需要完整来源]. ^ Chandler, Tertius; Fox, Gerald. 3000 Years of Urban Growth. London: Academic Press. 1974. ISBN 978-0-12-785109-9. ^ Districts. Istanbul Metropolitan Municipality. [2011-12-21]. ^ History of Local Governance in Istanbul. Istanbul Metropolitan Municipality. [2011-12-21]. ^ İstanbul İl ve İlçe Alan Bilgileri [Istanbul Province and District Area Information]. Istanbul Metropolitan Municipality. [2010-06-20] （土耳其语）. ^ Jurisdiction. Istanbul Metropolitan Municipality. [2011-12-21]. 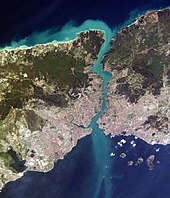 ^ 78.0 78.1 The Topography of İstanbul. Republic of Turkey Ministry of Culture and Tourism. [2012-06-19]. ^ Revkin, Andrew C. Disaster Awaits Cities in Earthquake Zones. The New York Times. 2010-02-24 [2010-06-13]. ^ Parsons, Tom; Toda, Shinji; Stein, Ross S.; Barka, Aykut; Dieterich, James H. Heightened Odds of Large Earthquakes Near Istanbul: An Interaction-Based Probability Calculation. Science (Washington, D.C.: The American Association for the Advancement of Science). 2000, 288 (5466): 661–5. Bibcode:2000Sci...288..661P. PMID 10784447. doi:10.1126/science.288.5466.661. ^ Traynor, Ian. A Disaster Waiting to Happen – Why a Huge Earthquake Near Istanbul Seems Inevitable. The Guardian (UK). 2006-12-09 [2010-06-13]. ^ Kottek, Markus; Grieser, Jürgen; Beck, Christoph; Rudolf, Bruno; Rube, Franz. World Map of the Köppen-Geiger climate classiﬁcation updated (PDF). Meteorologische Zeitschrift. June 2006, 15 (3): 259–263 [2013-03-29]. Bibcode:2006MetZe..15..259K. doi:10.1127/0941-2948/2006/0130. ^ Peel, M. C.; Finlayson, B. L.; McMahon, T. A. Updated world map of the Köppen-Geiger climate classiﬁcation (PDF). Hydrology and Earth System Sciences. 2007, 4 (2): 439–473 [2013-03-29]. doi:10.5194/hessd-4-439-2007. ^ [Monthly Total Participation Data: August]. Turkish State Meteorological Service. [2012-07-06]. （原始内容存档于2012-05-16） （土耳其语）. ^ 88.0 88.1 Weather – Istanbul. World Weather. BBC Weather Centre. [2012-10-15]. ^ Istanbul Enshrouded in Dense Fog. Turkish Daily News. 2005-01-14 [2012-10-15]. ^ Kindap, Tayfin. A Severe Sea-Effect Snow Episode Over the City of Istanbul. Natural Hazards. 2010-01-19, 54 (3): 703–23 [2012-10-15]. ISSN 1573-0840. doi:10.1007/s11069-009-9496-7. ^ Istanbul Winds Battle Over the City. Turkish Daily News. 2009-10-17 [2012-10-15]. ^ 97.0 97.1 Yıllık Toplam Yağış Verileri [Annual Total Participation Data: Istanbul, Turkey]. Turkish State Meteorological Service. [2012-07-06] （土耳其语）. ^ Tayanç, Mete; Karaca, Mehmet; Dalfes, H. Nüzhet. March 1987 Cyclone (Blizzard) over the Eastern Mediterranean and Balkan Region Associated with Blocking. Monthly Weather Review (American Meteorological Society). 1998, 126 (11): 3036 [2010-07-27]. Bibcode:1998MWRv..126.3036T. doi:10.1175/1520-0493(1998)126<3036:MCBOTE>2.0.CO;2. ^ Resmi İstatistikler (İl ve İlçelerimize Ait İstatistiki Veriler) [Official Statistics (Statistical Data of Provinces and Districts) - Istanbul]. Turkish State Meteorological Service. [2014年12月3日]. （原始内容存档于2013年11月3日） （土耳其语）. ^ Besiktas: The Black Eagles of the Bosporus. FIFA. [2012-04-08]. ^ Moonan, Wendy. For Turks, Art to Mark 700th Year. The New York Times. 1999-10-29 [2012-07-04]. ^ Rowland Atkinson; Gary Bridge. Gentrification In A Global Context: The New Urban Colonialism. Routledge. 2005: 123– [2013-05-06]. ISBN 978-0-415-32951-4. ^ Jessica Bourque. Poor but Proud Istanbul Neighborhood Faces Gentrification. The New York Times. 2012-07-04 [2013-05-06]. ^ Robert Tait. Forced gentrification plan spells end for old Roma district in Istanbul. The Guardian. 2008-07-22 [2013-05-06]. ^ TTG China. 伊斯坦布尔新机场每小时可处理多达3万件行李. [2018-07-30]. ^ New city construction to begin in six months. Hurriyet Daily News. 2013-02-22 [2013-05-06]. ^ Presentation of Reference City: Istanbul. Urban Green Environment. [2015-07-05]. （原始内容存档于2012-01-17） （土耳其语）. ^ Vatan - Diyanet: Türkiye’de 79 bin 096 cami var. W9.gazetevatan.com. [2009-06-06]. （原始内容存档于2009-02-11）. ^ Armenians in Turkey. The Economist. 2006-11-16 [2009-05-28]. ^ Gilson, George. Destroying a minority: Turkey’s attack on the Greeks 互联网档案馆的存檔，存档日期2008-06-17., book review of (Vryonis 2005), Athens News, 24 June 2005. ^ Jenkins, Gareth. Turkey’s new rich find the Midas touch. London: The Sunday Times. 2008-03-09 [2009-06-18]. ^ 137.0 137.1 Ottoman Bank Museum. Ottoman Bank Museum. [2009-06-18]. （原始内容存档于2009-05-18）. ^ PriceWaterhouseCoopers: U.K. Economic Outlook and Global City GDP Ranking 2005–2020 Full Report (PDF) 互联网档案馆的存檔，存档日期2008-05-27. ^ CNN Türk: Dış ticaretin lokomotifi İstanbul (Istanbul is the locomotive of foreign trade) 互联网档案馆的存檔，存档日期2008-06-17. ^ Hürriyet: 2006’da Türkiye’ye gelen turist başına harcama 728 dolara indi. Hurriyet.com.tr. [2009-05-28]. ^ Sadberk Hanım Museum official website. © 2009 Büyükdere Piyasa Cad. No: 27–29 Sarıyer, İstanbul. [2009-06-09]. （原始内容存档于2010-03-29）. ^ İstanbul: Yıldız Palace. [2009-06-09]. （原始内容存档于2007-09-26）. ʻAner, Nadav. Pergola, Sergio Della; Gilboa, Amos; Ṭal, Rami, 编. The Jewish People Policy Planning Institute Planning Assessment, 2004–2005: The Jewish People Between Thriving and Decline. Jerusalem: Gefen Publishing House Ltd. 2005. ISBN 978-965-229-346-6. Athanasopulos, Haralambos. Greece, Turkey, and the Aegean Sea: A Case Study in International Law. Jefferson, N.C.: McFarland & Company, Inc. 2001. ISBN 978-0-7864-0943-3. Barnes, Timothy David. Constantine and Eusebius. Cambridge, Mass. : Harvard University Press. 1981. ISBN 978-0-674-16531-1. Baynes, Norman H. Baynes, Norman H.; Moss, Henry S. L. B, 编. Byzantium: An Introduction to East Roman Civilization. Oxford, Eng. : Clarendon Press. 1949. ISBN 978-0-674-16531-1. Boyar, Ebru; Fleet, Kate. A Social History of Ottoman Istanbul. Cambridge, Eng. : Cambridge University Press. 2010. ISBN 978-0-521-13623-5. Brink-Danan, Marcy. Jewish Life in Twenty-First-Century Turkey: The Other Side of Tolerance. New Anthropologies of Europe. Bloomington, Ind. : Indiana University Press. 2011. ISBN 978-0-253-35690-1. Brummett, Palmira Johnson. Image and Imperialism in the Ottoman Revolutionary Press, 1908–1911. Albany, N.Y.: SUNY Press. 2000. ISBN 978-0-7914-4463-4. Cantor, Norman F. Civilization of the Middle Ages. New York: HarperCollins. 1994. ISBN 978-0-06-092553-6. Çelik, Zeynep. The Remaking of Istanbul: Portrait of an Ottoman City in the Nineteenth Century. Berkeley, Calif., & Los Angeles: University of California Press. 1993. ISBN 978-0-520-08239-7. Chamber of Architects of Turkey. Architectural Guide to Istanbul: Historic Peninsula 1. Istanbul: Chamber of Architects of Turkey, Istanbul Metropolitan Branch. 2006. ISBN 978-975-395-899-8. Chandler, Tertius. Four Thousand Years of Urban Growth: An Historical Census. Lewiston, N.Y.: St. David's University Press. 1987. ISBN 978-0-88946-207-6. Connell, John. Medical Tourism. CAB Books. Wallingford, Eng. : CABI. 2010. ISBN 978-1-84593-660-0. Dahmus, Joseph. A History of the Middle Ages. New York: Barnes & Noble Publishing. 1995. ISBN 978-0-7607-0036-5. De Sélincourt, Aubery. Marincola, John M, 编. The Histories. Penguin Classics. London: Penguin Books. 2003. ISBN 978-0-14-044908-2. De Souza, Philip. The Greek and Persian Wars, 499-386 B.C. London: Routledge. 2003. ISBN 978-0-415-96854-6. Düring, Bleda S. The Prehistory of Asia Minor: From Complex Hunter-Gatherers to Early Urban Societies. Cambridge, Eng. : Cambridge University Press. 2010. ISBN 978-0-521-14981-5. Efe, Recep; Cürebal, Isa. Impacts of the "Marmaray" Project (Bosphorus Tube Crossing, Tunnels, and Stations) on Transportation and Urban Environment in Istanbul. (编) Brunn, Stanley D. Engineering Earth: The Impacts of Megaengineering Projects. London & New York: Springer. 2011: 715–34. ISBN 978-90-481-9919-8. Finkel, Caroline. Osman's Dream: The Story of the Ottoman Empire, 1300–1923. New York: Basic Books. 2005. ISBN 978-0-465-02396-7. Freely, John. Istanbul: The Imperial City. New York: Viking. 1996. ISBN 978-0-670-85972-6. Freely, John. The Companion Guide to Istanbul and Around the Marmara. Woodbridge, Eng. : Companion Guides. 2000. ISBN 978-1-900639-31-6. Freely, John. A History of Ottoman Architecture. Southampton, Eng. : WIT Press. 2011. ISBN 978-1-84564-506-9. Georgacas, Demetrius John. The Names of Constantinople. Transactions and Proceedings of the American Philological Association (The Johns Hopkins University Press). 1947, 78: 347–67. JSTOR 283503. doi:10.2307/283503. Göksel, Aslı; Kerslake, Celia. Turkish: A Comprehensive Grammar. Comprehensive Grammars. Abingdon, Eng. : Routledge. 2005. ISBN 978-0-415-21761-3. Göktürk, Deniz; Soysal, Levent; Türeli, İpek (编). Orienting Istanbul: Cultural Capital of Europe?. New York: Routledge. 2010. ISBN 978-0-415-58011-3. Grant, Michael. The Severans: The Changed Roman Empire. London: Routledge. 1996. ISBN 978-0-415-12772-1. Gregory, Timothy E. A History of Byzantium. Oxford, Eng. : John Wiley and Sons. 2010. ISBN 978-1-4051-8471-7. Harter, Jim. World Railways of the Nineteenth Century: A Pictorial History in Victorian Engravings illustrated. Baltimore: Johns Hopkins University Press. 2005. ISBN 978-0-8018-8089-6. Holt, Peter M.; Lambton, Ann K. S.; Lewis, Bernard (编). The Cambridge History of Islam 1A illustrated, reprint. Cambridge, Eng. : Cambridge University Press. 1977. ISBN 978-0-521-29135-4. Isaac, Benjamin H. The Greek Settlements in Thrace Until the Macedonian Conquest illustrated. Leiden, the Neth. : BRILL. 1986. ISBN 978-90-04-06921-3. Kapucu, Naim; Palabiyik, Hamit. Turkish Public Administration: From Tradition to the Modern Age. USAK Publications 17. Ankara: USAK. 2008. ISBN 978-605-4030-01-9. Karpat, Kemal H. The Gecekondu: Rural Migration and Urbanization illustrated. Cambridge, Eng. : Cambridge University Press. 1976. ISBN 978-0-521-20954-0. Keyder, Çağlar (编). Istanbul: Between the Global and the Local. Lanham, Md. : Rowman & Littlefield. 1999. ISBN 978-0-8476-9495-2. King, Charles. Midnight at the Pera Palace, The birth of modern Istanbul. Norton & Cy. 2014. ISBN 9780393089141-. Klimczuk, Stephen; Warner, Gerald. Secret Places, Hidden Sanctuaries: Uncovering Mysterious Sights, Symbols, and Societies. New York: Sterling Publishing Company, Inc. 2009. ISBN 978-1-4027-6207-9. Knieling, Jörg; Othengrafen, Frank. Planning Cultures in Europe: Decoding Cultural Phenomena in Urban and Regional Planning. Urban and Regional Planning and Development. Surrey, Eng. : Ashgate Publishing, Ltd. 2009. ISBN 978-0-7546-7565-5. Köksal, Özlem (编). World Film Locations: Istanbul. Bristol, Eng. : Intellect Books. 2012. ISBN 978-1-84150-567-1. Köse, Yavuz. Vertical Bazaars of Modernity: Western Department Stores and Their Staff in Istanbul (1889–1921). (编) Atabaki, Touraj; Brockett, Gavin. Ottoman and Republican Turkish Labour History. Cambridge, Eng. : Cambridge University Press. 2009: 91–114. ISBN 978-0-521-12805-6. Landau, Jacob M. Atatürk and the Modernization of Turkey. Leiden, the Neth. : E.J. Brill. 1984. ISBN 978-90-04-07070-7. Limberis, Vasiliki. Divine Heiress: The Virgin Mary and the Creation of Christian Constantinople. London: Routledge. 1994. ISBN 978-0-415-09677-5. Lister, Richard P. The Travels of Herodotus. London: Gordon & Cremonesi. 1979. ISBN 978-0-86033-081-3. Masters, Bruce Alan; Ágoston, Gábor. Encyclopedia of the Ottoman Empire. New York: Infobase Publishing. 2009. ISBN 978-1-4381-1025-7. Morris, Ian. Social Development (PDF). Stanford, Calif.: Stanford University. October 2010 [2012-07-05]. （原始内容 (pdf)存档于2012-09-15）. Mossberger, Karen; Clarke, Susan E.; John, Peter. The Oxford Handbook of Urban Politics. Oxford Handbooks in Politics and International Relations. Oxford, Eng. : Oxford University Press. 2012. ISBN 978-0-19-536786-7. Necipoğlu, Gülru. Architecture, Ceremonial, and Power: The Topkapi Palace in the Fifteenth and Sixteenth Centuries. Cambridge, Mass. : The MIT Press. 1991. ISBN 978-0-262-14050-8. Necipoğlu, Gülru. From Byzantine Constantinople to Ottoman Kostantiniyye. (编) ölcer, Nazan. From Byzantion to Istanbul. Istanbul: SSM. 2010. ISBN 978-605-4348-04-6. Norris, Pippa. Public Sentinel: News Media & Governance Reform. Washington, D.C.: World Bank Publications. 2010. ISBN 978-0-8213-8200-4. Organisation for Economic Co-operation and Development. Istanbul, Turkey. OECD Territorial Reviews. Paris: OECD Publishing. 2008. ISBN 978-92-64-04371-8. Oxford Business Group. The Report: Turkey 2009. Oxford, Eng. : Oxford Business Group. 2009. ISBN 978-1-902339-13-9. Papathanassis, Alexis. The Long Tail of Tourism: Holiday Niches and Their Impact on Mainstream Tourism. Berlin: Springer. 2011. ISBN 978-3-8349-3062-0. Quantic, Roy. Climatology for Airline Pilots. Oxford, Eng. : John Wiley & Sons. 2008. ISBN 978-0-470-69847-1. Reinert, Stephen W. Fragmentation (1204–1453). (编) Mango, Cyril. 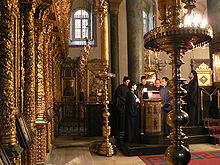 The Oxford History of Byzantium. Oxford, Eng. : Oxford University Press. 2002. ISBN 978-0-19-814098-6. Reisman, Arnold. Turkey's Modernization: Refugees from Nazism and Atatürk's Vision. Washington, D.C.: New Academia Publishing, LLC. 2006. ISBN 978-0-9777908-8-3. Roebuck, Carl. Ionian Trade and Colonization. Monographs on Archaeology and Fine Arts. New York: Archaeological Institute of America. 1959. ISBN 978-0-89005-528-1. Room, Adrian. Placenames of the World: Origins and Meanings of the Names for 6,600 Countries, Cities, Territories, Natural Features, and Historic Sites 2nd. Jefferson, N.C.: McFarland & Company. 2006. ISBN 978-0-7864-2248-7. Rôzen, Mînnā. A History of the Jewish Community in Istanbul: The Formative Years, 1453–1566 illustrated. Leiden, the Neth. : BRILL. 2002. ISBN 978-90-04-12530-8. Sanal, Aslihan. Fischer, Michael M. J.; Dumit, Joseph, 编. New Organs Within Us: Transplants and the Moral Economy. Experimental Futures illustrated. Chapel Hill, N.C.: Duke University Press. 2011. ISBN 978-0-8223-4912-9. Schmitt, Oliver Jens. Levantiner: Lebenswelten und Identitäten einer ethnokonfessionellen Gruppe im osmanischen Reich im "langen 19. Jahrhundert". München: Oldenbourg. 2005. ISBN 978-3-486-57713-6 （德语）. Shaw, Stanford J.; Shaw, Ezel K. History of the Ottoman Empire and Modern Turkey 2. Cambridge, Eng. : Cambridge University Press. 1977. ISBN 978-0-521-29166-8. Taşan-Kok, Tuna. Budapest, Istanbul, and Warsaw: Institutional and Spatial Change. Delft, the Neth. : Eburon Uitgeverij B.V. 2004. ISBN 978-90-5972-041-1. Taylor, Jane. Imperial Istanbul: A Traveller's Guide: Includes Iznik, Bursa and Edirne. New York: Tauris Parke Paperbacks. 2007. ISBN 978-1-84511-334-6. Tigrek, Sahnaz; Kibaroğlu, Ayșegül. Strategic Role of Water Resources for Turkey. (编) Kibaroğlu, Ayșegül; Scheumann, Waltina; Kramer, Annika. Turkey's Water Policy: National Frameworks and International Cooperation. London & New York: Springer. 2011. ISBN 978-3-642-19635-5. Time Out Guides (编). Time Out Istanbul. London: Time Out Guides. 2010. ISBN 978-1-84670-115-3. Turan, Neyran. Towards an Ecological Urbanism for Istanbul. (编) Sorensen, André; Okata, Junichiro. Megacities: Urban Form, Governance, and Sustainability. Library for Sustainable Urban Regeneration. London & New York: Springer. 2010: 223–42. ISBN 978-4-431-99266-0. WCTR Society; Unʼyu Seisaku Kenkyū Kikō. Urban Transport and the Environment: An International Perspective. Amsterdam: Elsevier. 2004. ISBN 978-0-08-044512-0. Wedel, Heidi. Ibrahim, Ferhad; Gürbey, Gülistan, 编. The Kurdish Conflict in Turkey. Berlin: LIT Verlag Münster. 2000: 181–93. ISBN 978-3-8258-4744-9. Wynn, Martin. Planning and Urban Growth in Southern Europe. Studies in History, Planning, and the Environment. Los Altos, Calif.: Mansell. 1984. ISBN 978-0-7201-1608-3.